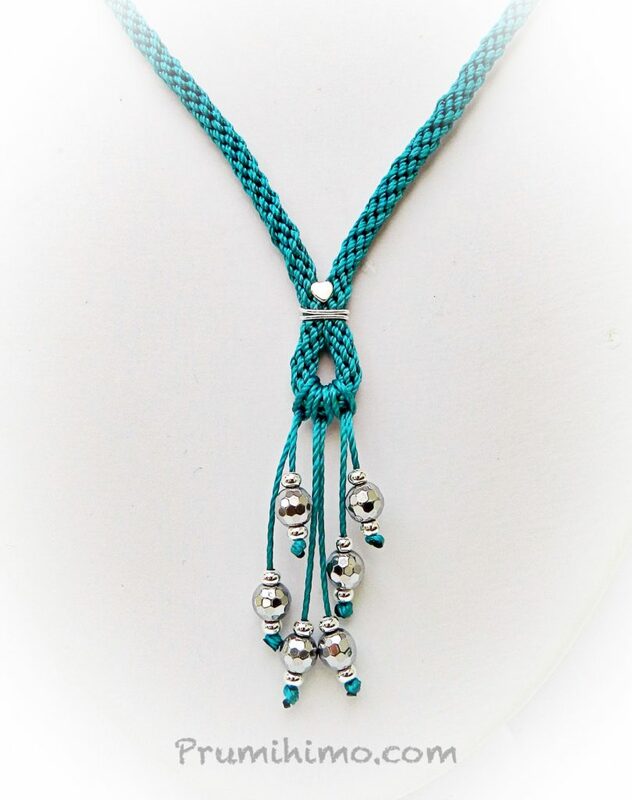 This is a great way to use your kumihimo to carry a favourite pendant. This method ensures that your pendant always hangs properly and is an attractive way to feature any sort of pendant. 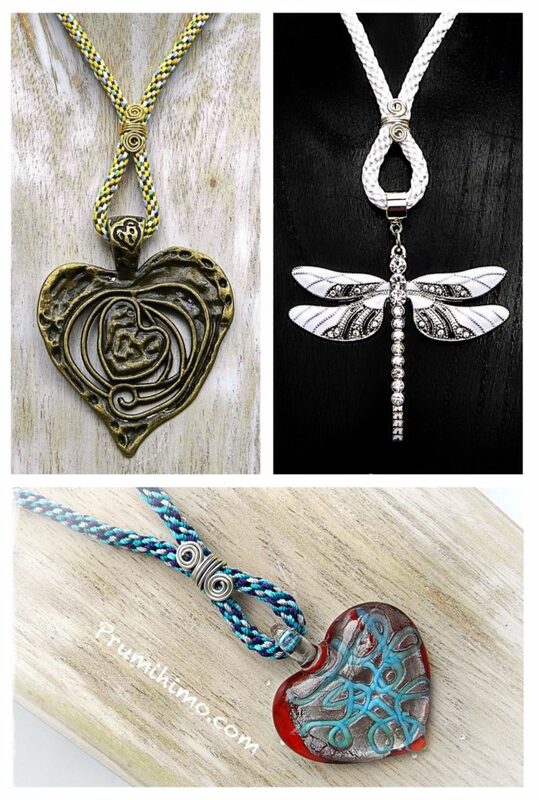 These are the pendants shown in the video. This is another version of the technique. Instead of wire I have used a heart headpin and instead of a pendant I have used cord, attached to the braid using Lark’s Head Knots and then a few beads were threaded on. I hope this particular design illustrates the versatilty of this technique and encourages you to try your own variations.